I love to create cocktails that fit the season! 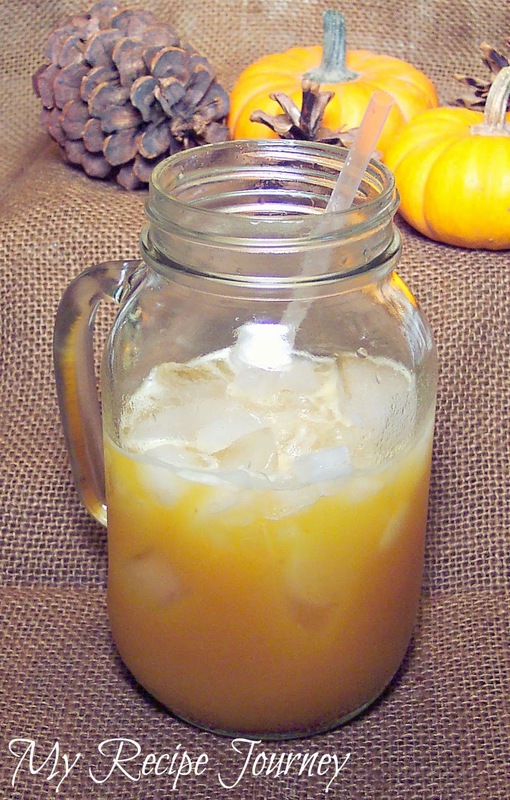 This one hits all the marks of Fall with the flavors of pumpkin, cinnamon, apple, orange and maple! Topping it off with a little beer just gives it some fizz with a casual flair! Don't take this cocktail for granted because of the cutesy name! It really packs a punch that will take you by surprise! Pour the first 5 ingredients into a cocktail shaker. Do not add ice to the shaker or else the ingredients will not pour out easily. Shake well and pour into a glass that is half filled with ice. Top off the drink with 2 shots of light beer. Give a little stir with a straw and serve. Your kind comments are always welcome, so please leave one...Thank you!